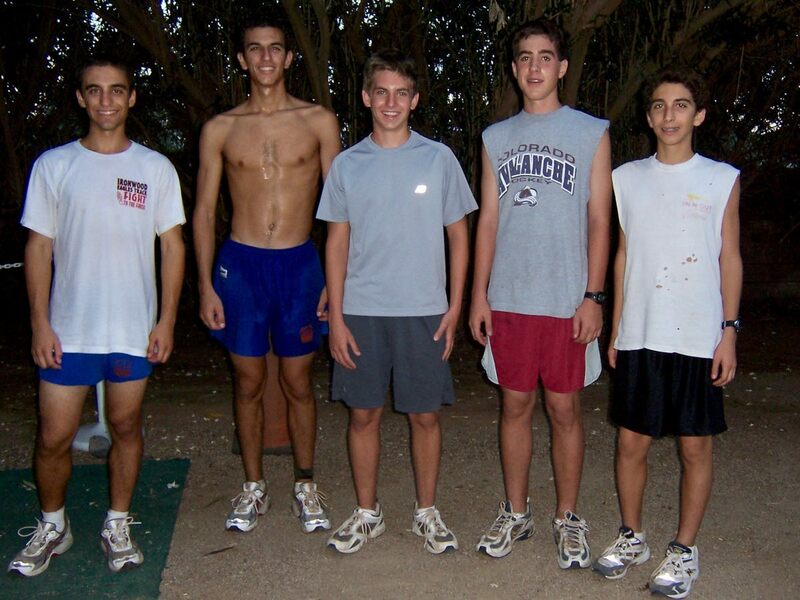 Jamil Coury (second from the left) at his first ultra (Age 20) on September 4, 2005 at Nardini Manor. Officially called the Kachina Relief 12 Hour night run. Also with him are his brothers Nick age 18 (far left) and Nathan age 16 (far right).